What's it like to Encounter a Holy Man? When I arrived at the elder’s cell, I pulled on the cord attached to the bell. Shortly, the elder stuck his head out the window and called out, “What do you want, my boy?” I drew near the fence and asked him, “won’t you let me in, elder?” He put the keys on a wire that ran down to where I was and told me to relock the gate, and started to walk up to his dwelling. When I reached the front of his cell underneath the balcony where he was standing, the elder asked me to hand him a jacket that had fallen to the ground. I picked up the jacket and stretched to hand it up to him. When the elder bent down to take it from me, our eyes met for the first time. There was something about his eyes, large and penetrating, that nearly blinded me. His sweet gaze was powerful and sacred, transcending the limits of human nature as I knew it. In a flash, I lowered my head, in awe of the spiritual radiance that was before me. I felt very small. By the time I had walked the thirty yards around the house, I felt as though a mystery concerning the capabilities of human nature had been revealed to me. We discussed various topics. He was so good and kind to me that within a few minutes our souls were quite united. On account of his virtues and discretion, I felt the immense joy of finally getting to know someone I could trust. At one point, he laughed cheerfully and asked me if he had permission to help me spiritually. “Can I take a walk around inside you?” he asked. I trusted him so much that I said yes right away. I couldn’t help smiling when he added, “My feet smell, though,” since he was clearly as pure as snow with the goodness of Christ. I answered, “It doesn’t bother me.” Then, with great gentleness and courtesy, he stepped into my soul. I felt a luminous and healing presence being united to my soul and illuminating it with a gladsome light. It was like the joy and peace of returning home after years of cruel exile. I didn’t even know that in this life you could feel such a rejuvenating peace in the embrace of God. The elder shared my joy. 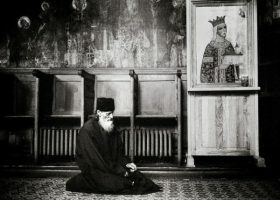 I learned later that ancient Christians used the term “watchful intoxication” to describe the way those under the influence of the Spirit soar to great, even ecstatic, spiritual heights while nevertheless remaining calm and sober––and that is how I felt as I entered this increasingly luminous, intense state, calm and watchful all the while. 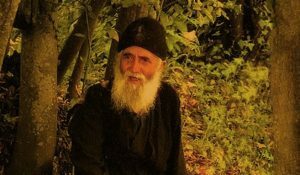 After this, I returned to the monastery a changed man, spiritually and psychologically. 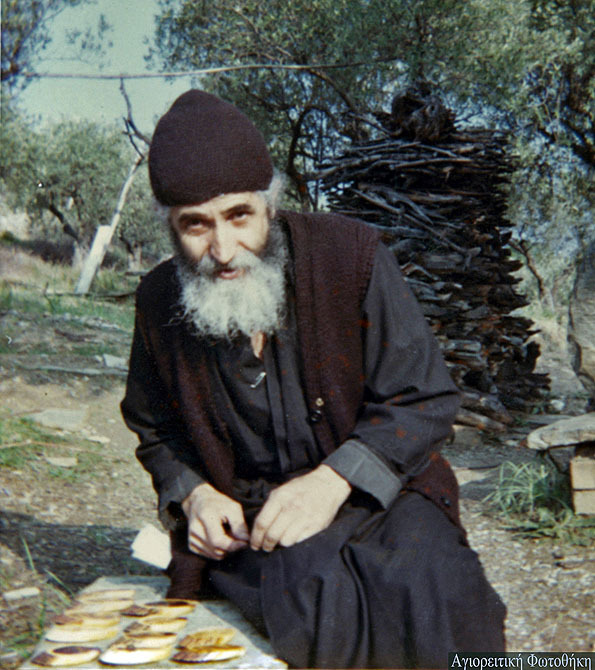 the monks I encountered on the way back would cheerfully ask me if I was coming from Elder Paisios. It was almost a conspiracy. 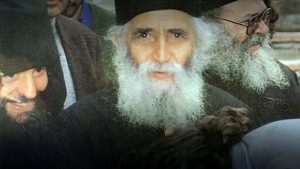 The elder’s gifts could be so easily discerned on my countenance that they could all see it And since I, a neophyte, felt as though I had been bathed in a noetic light, I joyfully told these old-timers, “Yes.” Indeed, I had come into contact with something extraordinary, mysterious, and divine.